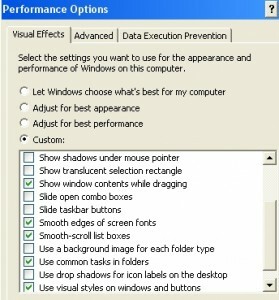 Here is a list of items that I apply to optimize a Windows XP system. visual styles, common tasks in folders, show window contents while dragging, smooth edges of screen fonts, smooth-scroll list boxes. 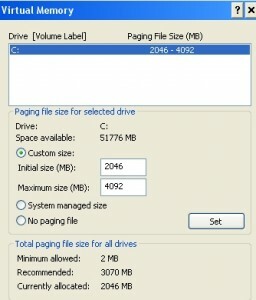 Adjust the pagefile size used for Virtual Memory (a.k.a. swap file). The recommended size is equivalent to 1.5 times the amount of physical installed memory (RAM) on your system. In case you have a (fast) secondary or subsequent physical internal drive installed in your system (not an external drive), you may opt to move the paging file to one of these drives. Adjust the Automatic Updates selection to Notify only. 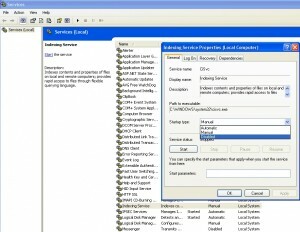 In Control Panel, choose Administrative Tools, Services, Indexing Service. By default, indexing is disabled on my System Hard Disk partition. Other drive partitions should also be considered, if the Search function is not or seldom used. 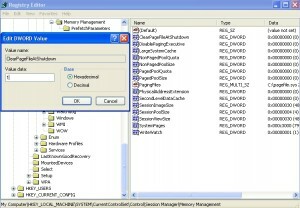 The Virtual Memory Pagefile (a.k.a. swap file) may become fragmented. 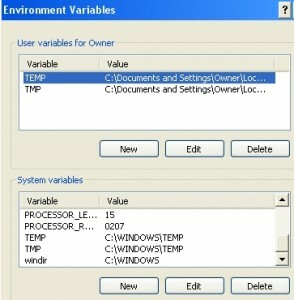 option 1: Regularly perform a pagefile defrag (see ‘Five essential steps in XP Maintenance‘). 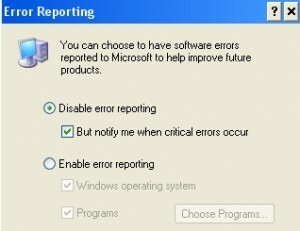 This option is also used for security purposes. 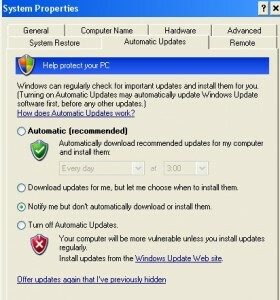 It ensures that no traces are left on the system and prevents other operating systems to ‘sneak’ into this file. The backdraw is a slower shut down. 4) Move the Temporary Internet Files (TIF) folder from the default location. In ‘Internet Options’, select the ‘General’ tab, Temporary Internet Files box, Settings button, Move Folder button. Move the folder to the root location of any of the permanent drive partitions (like D:\). Note that this is a hidden folder and therefore may not be visible by default. Posted by bioss at 8:30 pm on January 10th, 2010.